I had some extra fabric leftover from my monogram pillows and decided to make some coasters for our living room. I am sure there are 101 ways to make coasters but here is my simple and fast way I did it. First I cut 8 squares approximately 5.5 x 5.5 to make 4 coasters. 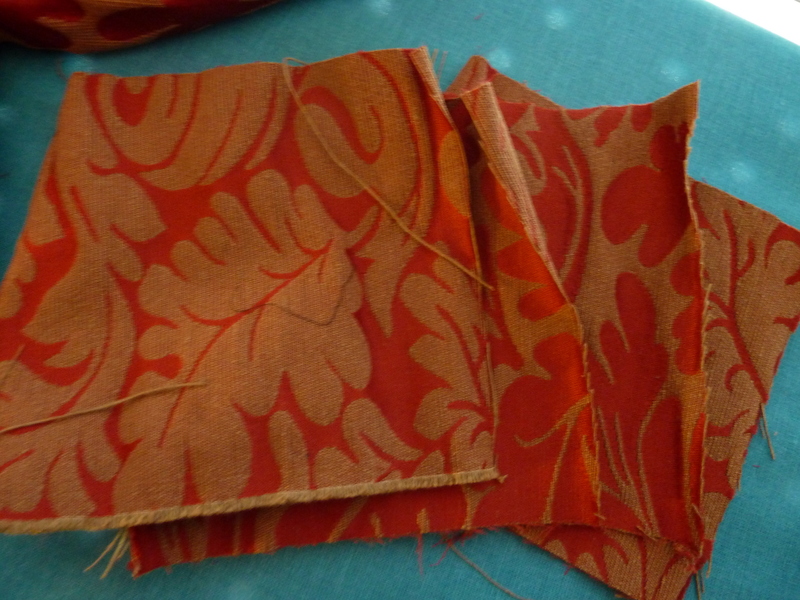 Also cut 4 squares of interfacing 4 x 4. You can make them any size but I liked the finished size this created. 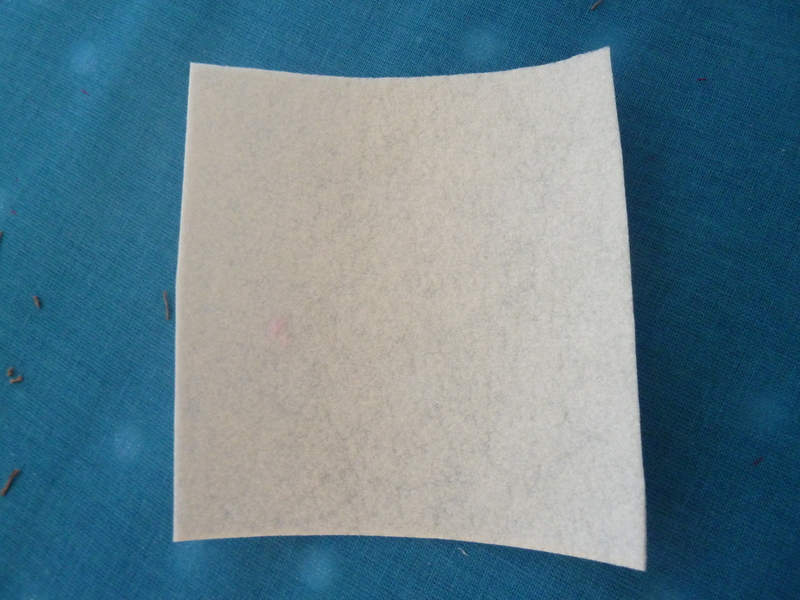 Place wrong sides together and sew 3 of the 4 sides together. 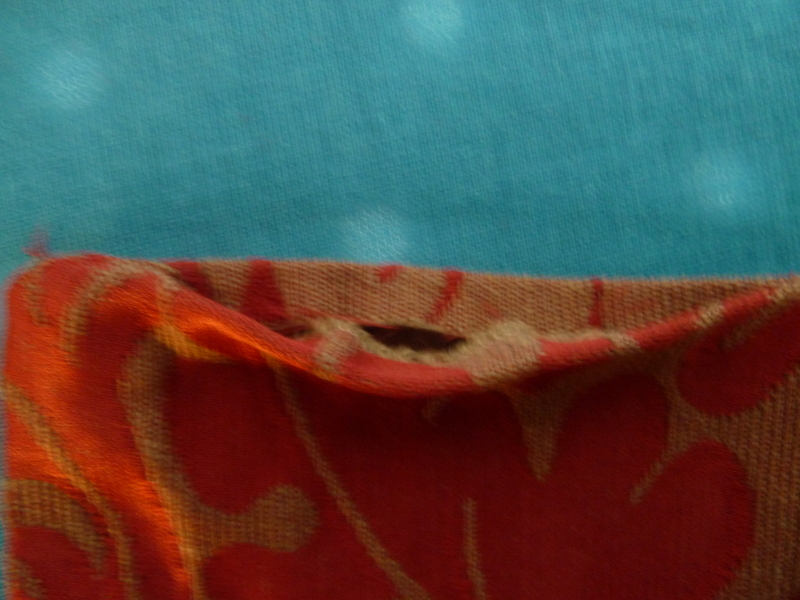 Also sew the corners of the 4th side leaving enough room to stuff your interfacing into the pocket. Turn right side out. 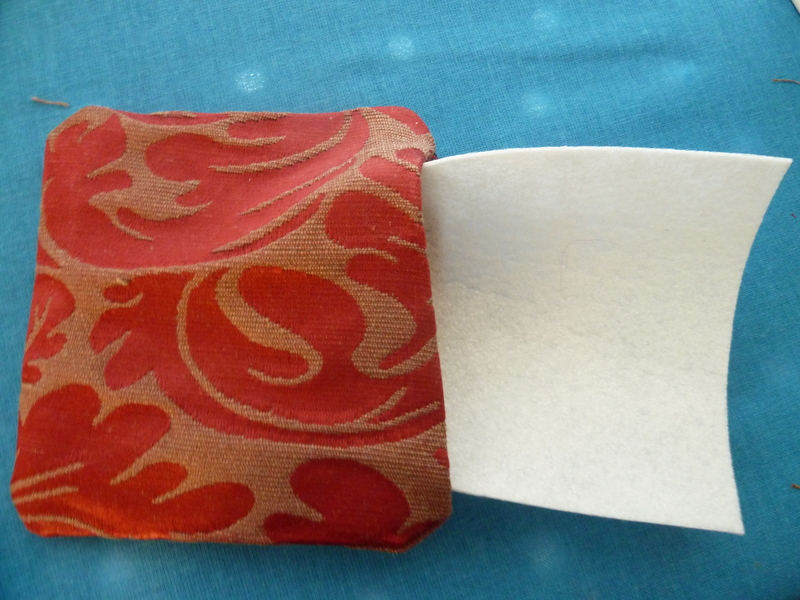 On the open 4th side fold over the seam and press. 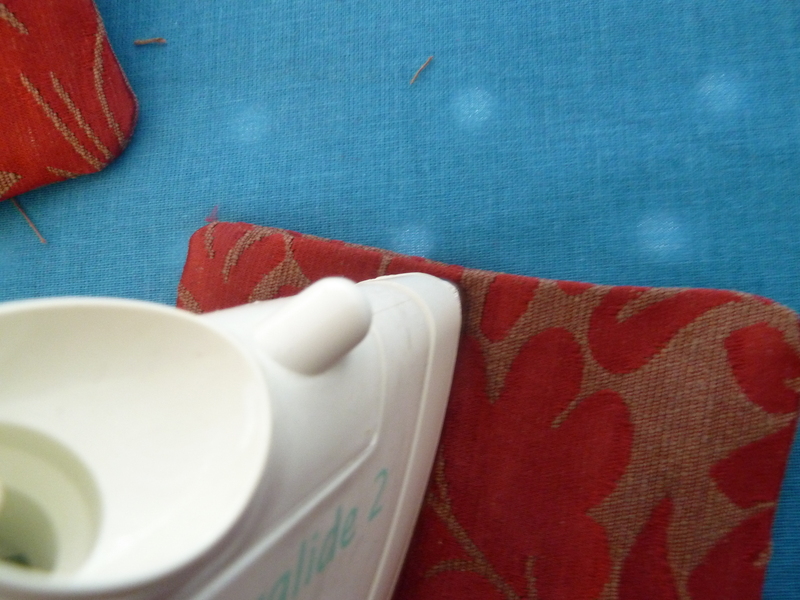 I found this much easier to do now as opposed to after I put the interfacing into the pocket. 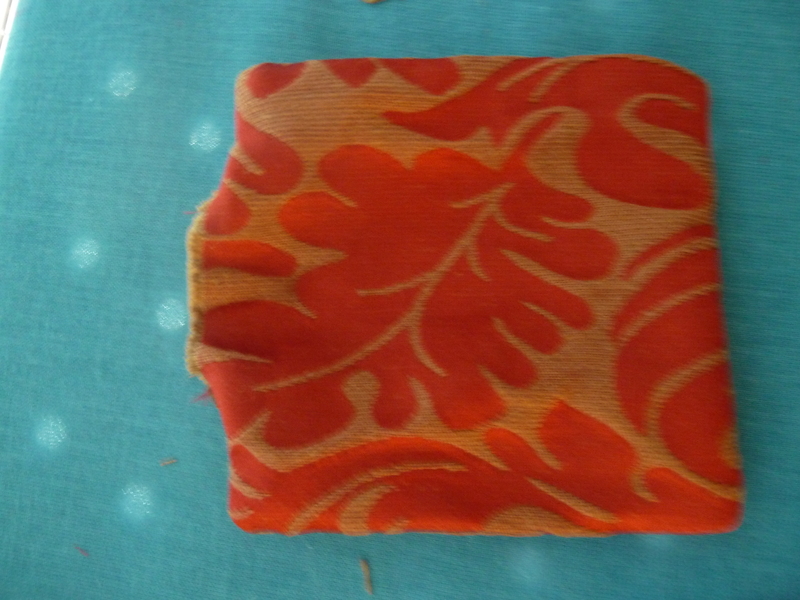 Stuff 1 interfacing square into each pocket and press. Topstitch as close as you can get to the edge. I mitered 2 of the coasters corners and played around a bit. They don’t all have to match but this is where you can get creative and sew different designs like these. I did this one in black thread so you could see it better. Lines aren’t perfect but when there is a glass on top of it you can’t even tell. 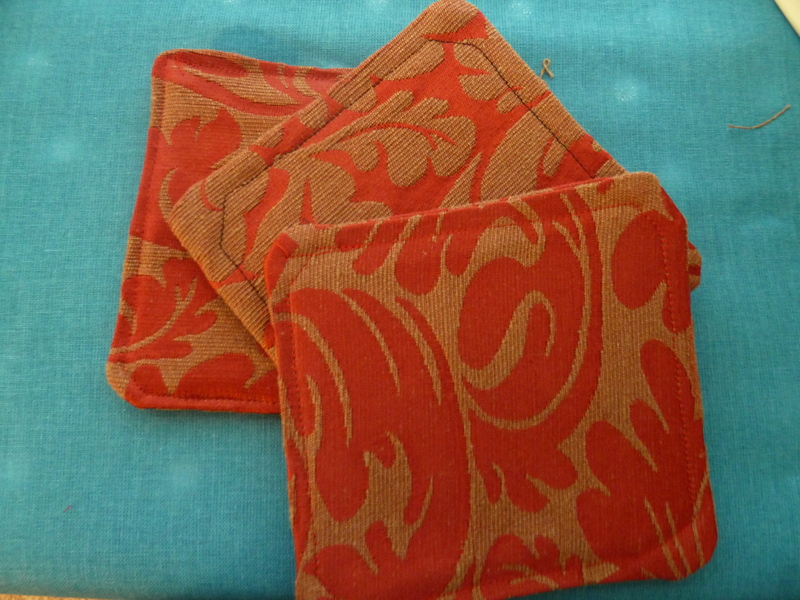 Have fun making coasters to use up scraps or match pillows in your home. 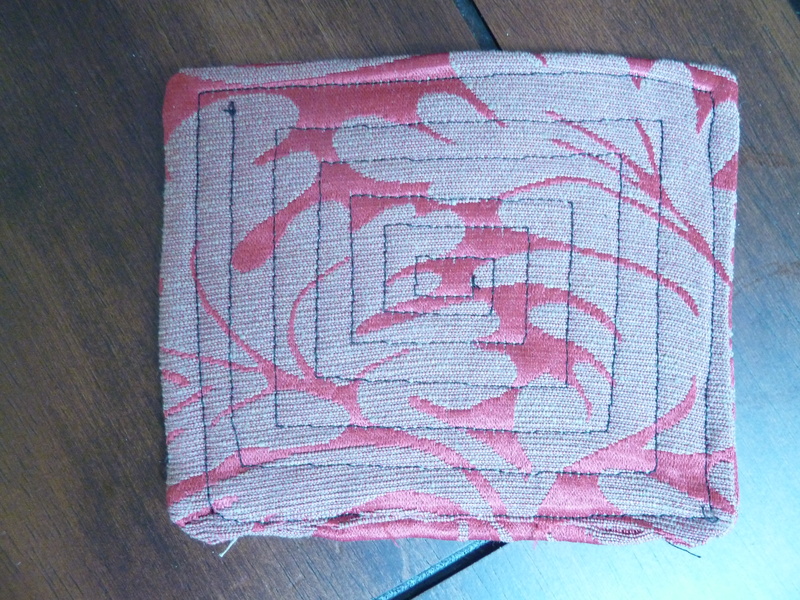 Posted in Tutorials and tagged drink coasters, easy sew coasters. Bookmark the permalink. So great, Reg! Miss you! Thanks. Need to get you sewing! Hope the girls are well.